An American lawyer dreams of killing his trophy wife in Thailand. A Vietnamese soldier goes mad in a haunted forest. A bereaved mother's trip to Cambodia ends in tragedy - or does it? One of Asia's top crime writers takes you on a spine-tingling journey from the jungles of Sumatra through Bangkok's seedy bars to the seemingly sedate streets of Singapore. Your traveling companions are a slew of dark emotions - fear, grief, jealousy, greed, lust and revenge. And your destination? With flashes of black humor and hard-to-forget characters, these stories shine light into some of Southeast Asia's darkest corners. I really enjoyed these stories. Elka has a writing style that's very passionate and detailed. Her storytelling is compelling and enjoyable at the same time. I loved the dialogue because you really feel like these characters are speaking to one another. The movie in your head never gets interrupted and you can feel the flow instantly. I'd like to spend some time just playing around in Elka's imagination, as she's got a lot going on in there! Then again...maybe something unfortunate would happen because most of these stories have teeth and edges that are a bit blacker than I'm used to. Still, very enjoyable and different. Although the stories were full of a juicy kind of tension, they were still the safe kind of tense where you enjoy yourself. I really enjoyed that the South Asian flair brought me into experiences and cultures that I'm unfamiliar with but loved learning about. “Kyle?” I yell. I’m sure my son is gone, sucked down to the bottom. The boat is still rocking, but not enough to tip. Water sloshes back and forth. Kyle pushes himself onto his hands and knees. We both look around. Beneath the streaks of rain, the sea is dead calm. No swell. No big whitecaps. Nothing. I’ve been boating in these waters for going on two decades but can’t explain what hit us. If it was the wake from a big cargo ship there’d have been more waves. That wave came from nowhere. Was it a whale? I shake my head. “I…I don’t know,” I say. The engine has stalled. My hands are shaking so hard I have trouble restarting it. It roars to life once, twice, only to cut out. "Daaaad! You're flooding it," says Kyle, his voice a hysterical whine. "It won't start! It won't start! You've flooded it!" I grit my teeth. "Fine, you try." If he hears, he doesn't respond but just hugs his knees. "My god. My god. She's here. She's here." He says it over and over again. "Shut up!" I yell, and my son stops. He presses his palms to his cheeks. I force myself to count to ten before trying the motor again, terrified that Kyle's right: If the motor is flooded, we're stuck out here. At the age of eleven, Elka Ray co-founded the Double Trouble Detective Agency. She’s been on the lookout for mysteries ever since. 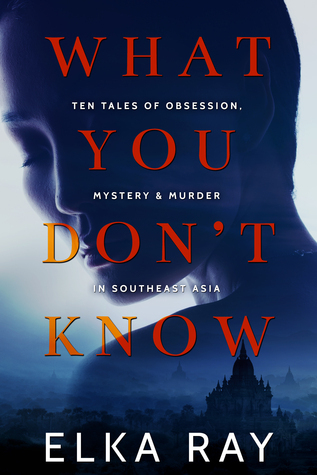 Elka’s latest book, “What You Don’t Know: Tales of Obsession, Mystery & Murder in Southeast Asia”, takes readers on a darkly suspenseful tour of the Far East. Her first novel, a fast-paced romantic adventure titled “Hanoi Jane”, was published by Marshall Cavendish in English and DT Books in Vietnamese. Elka’s next novel, the thriller “Saigon Dark”, will come out with Crimewave Press in November 2016. 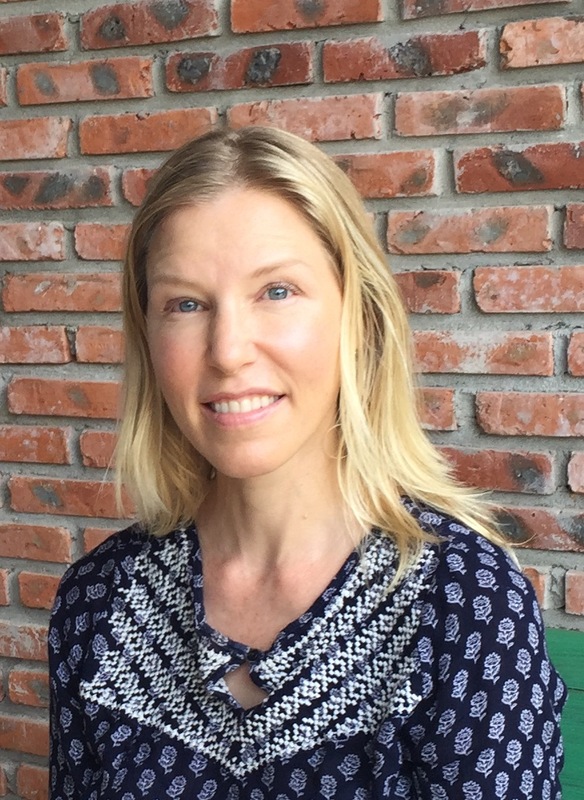 Elka is also the author and illustrator of a popular series of bilingual kids’ picture books about Vietnam. Elka divides her time between Hoi An in Central Vietnam and Canada’s scenic Vancouver Island. When she’s not writing, drawing or reading she’s in - or near -the ocean. Elka will be awarding a $20 Amazon or Barnes and Noble GC to a randomly drawn winner via rafflecopter during the tour. Loving the locations. The storyline is exciting. Thank you & happy Red Fire Rooster Year (as they say here in Asia)! Thanks for reading & reviewing Andra! I really enjoyed reading the excerpt and can't wait to read this book! Thank you so much Ally. I hope you enjoy the stories! Excellent review! I am excited to start reading this book! Hope you are having a fabulous weekend! Hope to get some reading done this weekend and this book is on the list! Love the book cover! How did it come about? Enjoyed the excerpt and I love the cover. What books might we find on your bedside table? I have added this book to my TBR list and look forward to checking it out! What is the most played song on your iphone/tablet?